In the January issue (on sale now) of Uncut , we celebrated the career of rock’s greatest and most mysterious guitar hero through the first hand accounts of the people who know him best. 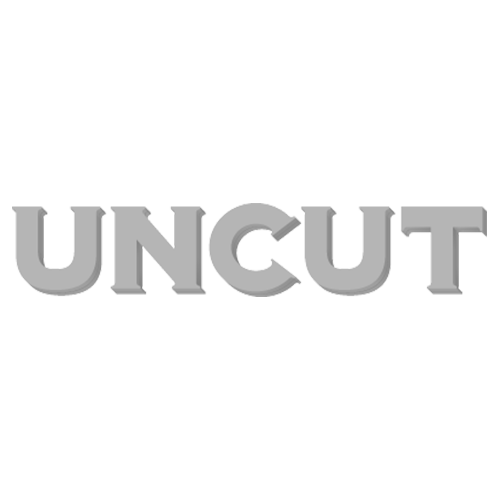 Here at uncut.co.uk, we’ll be posting the full and unedited transcripts from those interviews, including words from Robert Plant, Jeff Beck, Roy Harper, Steve Albini and more. Zep’s bassist and arranger whose friendship with Page extends back furthest of all: to session work in Swinging London. UNCUT: Well, firstly, what did it feel like to be playing with Jimmy again at the O2 Arena? What’s your assessment of how good he is these days? Is he as good as the Page of old? It’s difficult for him, isn’t it, because some of those songs have upwards of five or six tracks of guitar on the original recordings – particularly things like “Achilles Last Stand”. So in order to be able to perform them live, at his age, he’s really got to have all his musical wits about him. He came on wearing shades. Is that because he was nervous? I know that Ahmet Ertegun was the reason for the reunion talking place, but what do you think it actually meant to Jimmy himself? Should we read anything into the fact that Jimmy oversees the releases of things like How The West Was Won and the DVD? Does that mean that he cares more about the Zeppelin legacy than you and Robert? Can you remember meeting Jimmy for the first time? Oh, right, was it all old hands? Did he have any kind of reputation, the way that Eric Clapton or Jeff Beck did? So why was he doing this session work, rather than being in a band himself and travelling up and down the M1 doing gigs? He’s been quite evasive over the years about what exactly he played on – The Kinks, The Who, the Stones. Do you think it’s because he genuinely can’t remember in a lot of cases, or does he like there to be a bit of mystique, a bit of speculation? He’s often described as a very softly-spoken chap, perhaps a bit withdrawn. What were your first impressions of him? Is he shy, in the classic sense? But does it make sense that he got two boisterous characters – Robert Plant and John Bonham – into Led Zeppelin? Does he like surrounding himself with louder, more gregarious people? He knew what he wanted it to be. And how much did he know? How much did he have worked out in his head in advance? Did he have a sense of humour? Was he a funny guy to be around? I’m just intrigued by the idea of the quietest guy in the room being the one with the most dominant personality. Was that the case in the studio? Was he giving orders and instructions? I guess when you worked together on sessions, you would have seen him playing his guitar either sitting down, or standing on one spot. And yet he developed into one of the most flamboyant stage performers that rock has probably ever known. Did you know he was going to do that, or did it just evolve, or what? So the music is sort of playing him, in a way? Was there a time when you started to think of him as a very good producer? “Whole Lotta Love”, perhaps? Was recording an easy process? With Led Zeppelin in the studio, that’s a lot of creativity flowing around, so surely some people’s ideas must have been rejected in favour of other people’s? When Zeppelin formed, did Jimmy already have a close relationship with Peter Grant? How did that relationship work? They seem, from what I’ve heard, such complete opposites as human beings. Were there a lot of places where their personalities were in sync? And what did Jimmy get out of the relationship, apart from having a very shrewd manager? Did Jimmy in the ’70s, when Zeppelin must have been a totally surreal experience to go through, would you say he was someone who lived in the real world? Did he read newspapers? Did he know what was going on with Watergate or whatever? When did you find out, and how did you find out, that he had an interest in Aleister Crowley and the occult? You didn’t go to Boleskine House? But I mean, did you have a mental picture of him wearing a cape and casting spells and things? I know that he and Robert Plant became very close at one stage, and shared the cottage in Wales and wrote the third album and so on. Did you have a completely different kind of friendship with Jimmy? Were you all the more impressed, then, when he’d bring in a new piece like “Kashmir” or “Ten Years Gone” or “The Song Remains The Same” – these increasingly elaborate, almost tapestry-like productions? Is Physical Graffiti perhaps the best place to hear Jimmy Page in all his various guises? When did Jimmy’s drug use become a problem? Were his problems not noticed for a while, perhaps? Were you friendly enough with him to call him up, or go round his house, or socialise with him? Or did you only see each other when Zeppelin had work to do? Jimmy has talked about the fact that the next album – if there had been one – would have been more of a return to rock’n’roll. Was he offended or bothered by the fact that punk rock had dismissed Zeppelin as being terribly old-fashioned? The reason I ask is because, in the ’80s, Jimmy’s work was nowhere near on a par with his work in Zeppelin. I wondered whether that was because he was still depressed by John Bonham’s death and the end of Zeppelin, or whether it was because it was a new decade and Page’s time had gone. It seems to have taken the wind out of his sails almost for a whole decade. Were you in contact with him very often? When he’d make an album with somebody like David Coverdale or Paul Rodgers, did it seem like he was attempting to recapture something that Zeppelin had had? He got back together with Robert Plant for the ‘Unledded’ thing. I know you weren’t involved in that, but was there a part of you that was at least glad to see Jimmy working with Robert again? Do you and Jimmy joke about that now, or has it not quite reached that stage? Is he a difficult man to reconcile with, if you’ve fallen out with him? It’s quite interesting that he’s not dyeing his hair any more, he’s not pretending that he’s still in his early 30s. He seems to have accepted that he’s in his 60s now. But do you think he’s comfortable now with his life, with what he’s achieved in the past… and could there be more music from him in the future? Would you like to make another Led Zeppelin album? So do you think the Zeppelin reunion might actually have begun and ended at the O2? You don’t sound too certain about the prospect of an album.